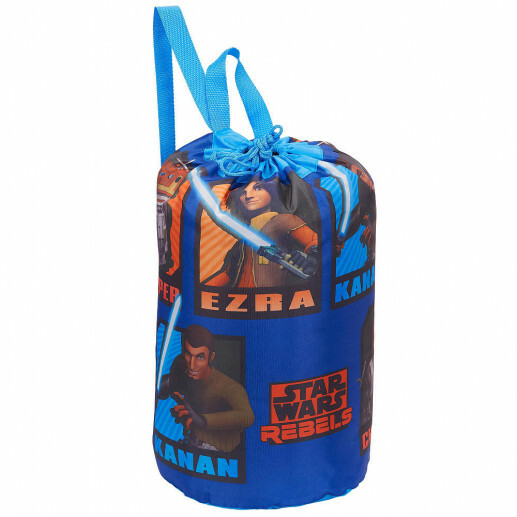 Disney Star Wars Slumber Bag 30" x 54"
Kids can imagine intergalactic adventures on sleepovers and campouts with the Star Wars Rebels Slumberbag in the Blue style. 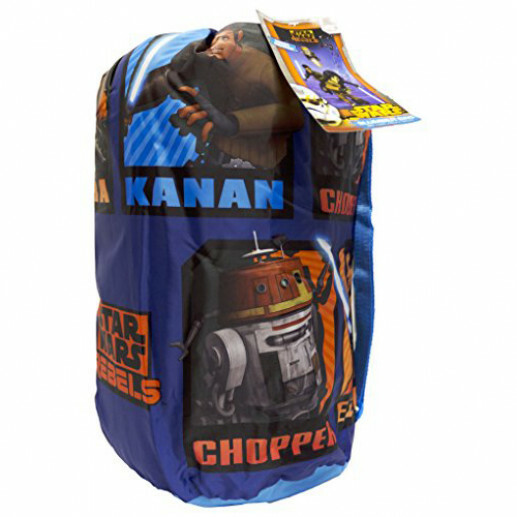 The bag features fun Star Wars Rebels characters, including the coolest droid in the galaxy, Chopper. A coordinating travel bag makes the slumberbag easy to transport or store when it is not in use. 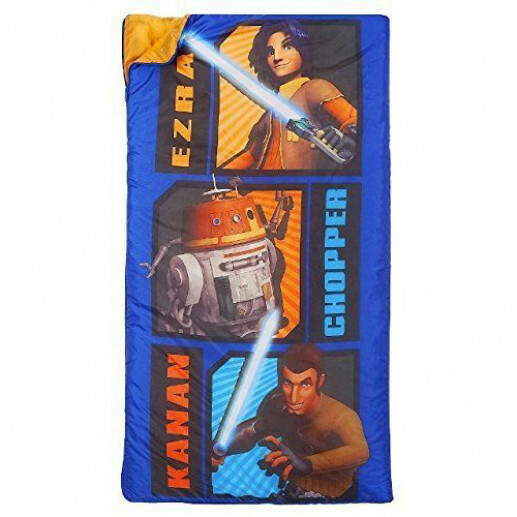 DESCRIPTION: Disney Star Wars Slumber Bag 30" x 54"
DIMENSIONS: 0.00" x 10.00" x 15.00"